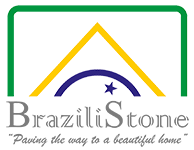 Why Choose Brazilian Slate Flagstones for your Hearth? Looking to update the flagstones for your hearth? A fireplace can be one of the most attractive parts of a home or restaurant and your choice of flagstones make all the difference to its appearance. Slate is one of the most popular choices for this type of feature since it looks both modern and traditional and appears particularly stunning when used as the backdrop for a wood-burning stove. There’s something about the combination of fire and stone that is especially comforting, promoting a connection to the natural world. Brazilian slate is a great way to bring it into the modern age, with our large slate slabs ideal for all sorts of applications. Our Brazilian slate flagstones not only look beautiful but they’re low-maintenance, highly durable and will age well. You can enjoy the beauty of your fireplace without having to worry about constant cleaning! Whatever sized flagstones you require, we can help. 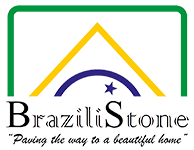 Brazilistone can make sure our slate slabs are cut to the perfect size for your hearth. We promise a fast delivery for all standard sizes from our site in Oxfordshire. Why not read more information on our flagstones and slabs today? Or simply get in touch with our friendly team today. 01235 848 858.